The QAV Shut-Off Valve was designed to eliminate the assembly labor so that we could improve the quality and make the valve in the US, all while keeping the pricing the same. The QAV uses a unique, patent-pending valve design includes a single-piece ball, stem and handle assembly to reduce the time to assemble while strengthening the structure. The QAV Valve replaces our 35 Shut-Off, keeping only its price-point. The QAV offers greater durability and a larger handle for easier watering. By molding the handle and ball as one piece, we have eliminated the screw and been able to upgrade the seals. 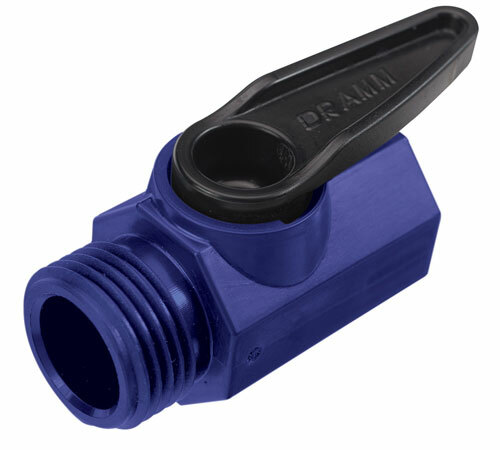 Overall, the valve is a great improvement in durability for a low price, while still allowing us to produce it in the US.